Weekend Obsession: Ayesha Somaya S/S14 Lawn Preview! Spring is in the air and that means its lawn season! For their third consecutive spring summer lawn series, Ayesha Somaya bring a collection inspired by summer romance in cool pastel prints. While the collection will hit leading retailers nationwide from 18th February, we bring you an exclusive first look at the shoot photographed at a beautiful resort getaway in Sri Lanka by sunlit poolsides and a lake view terrace. 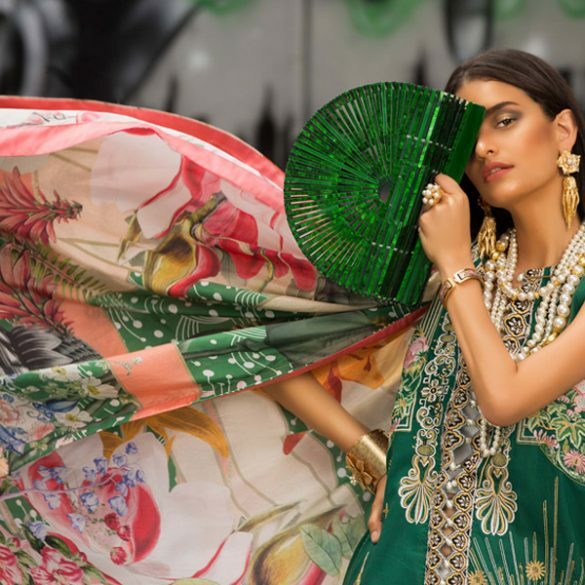 Ayesha Somaya once again choose the lovely Moomal Sheikh as their muse to model the ten distinctive designs conceptualized on cool mints, aqua blues, romantic violets, and many more softly blending hues. Take a look and watch out for the complete shoot coming up shortly. The price range for the three piece unstitched suits varies between Rs3,990-Rs4490. Ready, Set, Shoot: Ayesha Somaya S/S14 Lawn Collection!